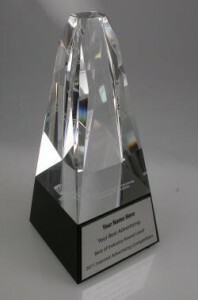 The final week before the deadline and now Tuesday, January 31th is the deadline to enter the Web Marketing Association’s 2012 Internet Advertising Competition Awards without paying a late fee. Winning an award is a great way to get third party validation on the quality of your work and it certainly helps a new business pitch to be able to show your “Award-winning” work and having the awards to prove it! Entering is easy. Entries are submitted online by logging in to your existing Nominator Account. If you are new to the IAC Awards, you can create a New Nominator Account here. Upload your creative onto a html page and you are ready to win. Entries will be judged on creativity, innovation, impact, design, copywriting, and use of the medium.Entering is easy. Entries are submitted online by logging in to your existing Nominator Account. If you are new to the IAC Awards, you can create a New Nominator Account here. Upload your creative onto a html page and you are ready to win. Entries will be judged on creativity, innovation, impact, design, copywriting, and use of the medium. IAC Best of Industry winners will receive a custom-made IAC Award that uses high quality clear and black crystal, with a custom geometric hand cut shape, and the pieces of black and clear crystal seamlessly fused and polished together by hand. In between the clear and black, the IAC logo is etched on the bottom of the clear piece, creating a beautiful unique design. Personalization is added with a steel plate on the base. It will be an impressive addition to any display case and will make an extraordinary client gift. You can win a full conference pass to one of two different SES Conferences this month. Simply email your name, company and job title to the us and one lucky participant will be selected to attend each conference compliments of the Web Marketing Association. Deadline for entry is February 1st. Click on the name of the conference you wish to enter to submit your name. SES London (February 20-24 at the Queen Elizabeth II Conference Centre) is the leading search marketing conference in Europe. SES San Diego (March 19-23) is collaborating with the Online Marketing Summit to enable attendees to network and learn how to execute on the best practices in Online Marketing without the distraction of an exhibit floor or vendor sales pitches. Again the deadline for entry is February 1st. There is less than one month left to enter the Web Marketing Association’s 10th annual Internet Advertising Competition (IAC) Awards. The IAC Awards are the first and only industry-based advertising award competition dedicated exclusively to online advertising. The Competition Web site is located at www.IACAward.org and the deadline for entry is January 31, 2012. Entering is easy. Entries are submitted online by logging in to your existing Nominator Account. If you are new to the IAC Awards, you can create a New Nominator Account here. Upload your creative onto a html page and you are ready to win. Entries will be judged on creativity, innovation, impact, design, copywriting, and use of the medium. Best of Show awards for each format will be selected from among the industry winners. Ads eligible for entry in the competition must have run during the period from January 1, 2011 through January 31, 2012, except for the Ads The Client Did Not Choose which do not have to have run. Don’t wait! Enter your best online advertising and win the recognition you deserve! Enter today at www.IACAward.org.